Japan is one of the hottest travel destinations in Asia which attracts millions of tourists from all over the world. The country is well known for its breathtaking landscape, ancient landmarks and scrumptious food. Whenever we think of Japan, the first thing that comes in our mind is Tokyo. But there is much more to Japan then its vibrant city of Tokyo, Osaka or Mount Fuji. There are hundreds of undiscovered places in Japan that nobody knows about. Though Japan has developed a lot in past few years making it easier for the tourists to visit islands and mountainous areas, there are still some places that remain untouched. Here are the top 5 off the beaten destinations that most travelers miss to explore in Japan. Do remember to buy your travel insurance before you fly to Japan to start your exploration of these destinations. Daisetsuzan National Park is a spectacular destination that should not be missed when you are in Japan. The park is located in Hokkaido that is one of the most popular islands of Japan. 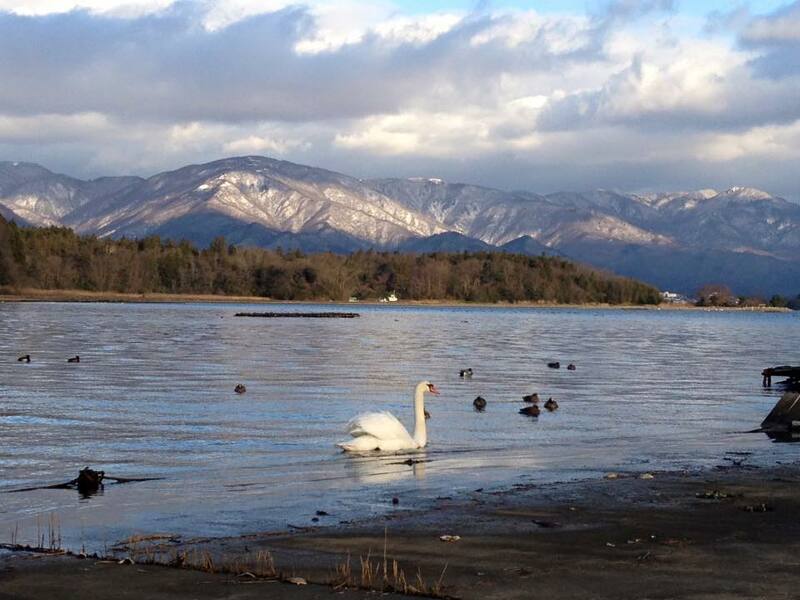 Hokkaido is well known for its natural hot springs, snow-capped mountains, lakes and volcanoes. But not many of us are aware with this hidden gem which is the largest national park in Hokkaido. The park covers area of more than 200,000 hectares making the largest park in Japan. Daisetsuzan National Park is home to jaw-dropping waterfalls, lush valleys, mountains and a number of volcanoes. This park is also hikers’ paradise. If you are a nature lover and an adventurer, then you must visit this park when you are in Japan. There are many ways through which you can reach Daisetsuzan National Park. If you want to consider the cheapest option, then take a flight from to Haneda Airport to Obihiro. Once you reach Obihiro, take a bus from to Sounkyo BT and from there you can hire a car which will take you straight to the Daisetsuzan National Park. Sado Island is Japan’s best kept secrets. Swap your tour to Tokyo or Osaka with this jaw-dropping island. Located in Niigata Prefecture, the Sado Island is home to some of the spectacular landmarks in Japan. From the jaw-dropping natural scenery to ancient temples to scrumptious food, Sado Island has something for all kind of travelers. One of the major highlights in Sado Island is gold mine. Tourists can experience gold mining in the Sado Kinzan Gold Mine which is dating back to hundreds of years ago. You should also ride in the tub boat – the boat which is made like a tub. Other attractions which you must visit in Sado Island include Lake Kamo, Senkakuwan Bay and Jogahana Beach. You can catch a train from Tokyo Station to Niigata Station. Once you reach Niigata Station, you have to take a bus or a taxi to the Niigata Port. From Niigata Port, take a ferry which will take you straight to Sado Island Ryotsu Port. 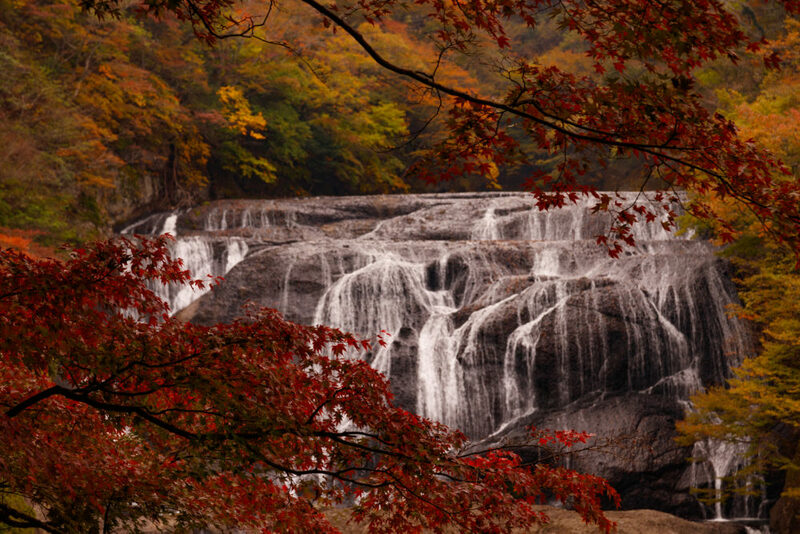 Located in the small town of Daigo, Fukuroda Falls are must see in Japan. With a height of around 120 meters, Fukuroda Falls are named among the top three waterfalls in Japan. The falls looks breathtaking in all seasons especially in autumn season when the falls are surrounded by the jaw-dropping backdrop of colorful trees. In winter season, frozen waterfalls look absolutely breathtaking. There is also an annual winter illumination when falls are illuminated with colorful lights making it a spectacular sight to witness. There is a viewing tunnel from where you can easily view the Fukuroda Falls. The tunnel also has an elevator which helps visitors to view the falls from different lookout points. You can also cross the river through the suspension bridge. There are a few tiers of the falls which you see step by step. When you are visiting Fukuroda Falls, make sure to try the famous rice dumplings and apples in town. You can take the Joban Line from Tokyo to Mito on Super Hitachi Express. From Mito, you can get into the Suigun Line and get off at Fukuroda. From there, you have to take bus to the Takimoto bus stop. Once you reach the bus stop, you can walk to the stunning Fukuroda Falls. Another off the beaten destination that is worth the visit is Kita Alps in Japan. Located in western part of Nagano prefecture, Kita Alps also known as the North Alps, is a mountain range that is also a perfect spot for hiking. The alps have not been discovered much by the tourist due to its tough route. But, if you find the right transport, it’s worth the struggle. 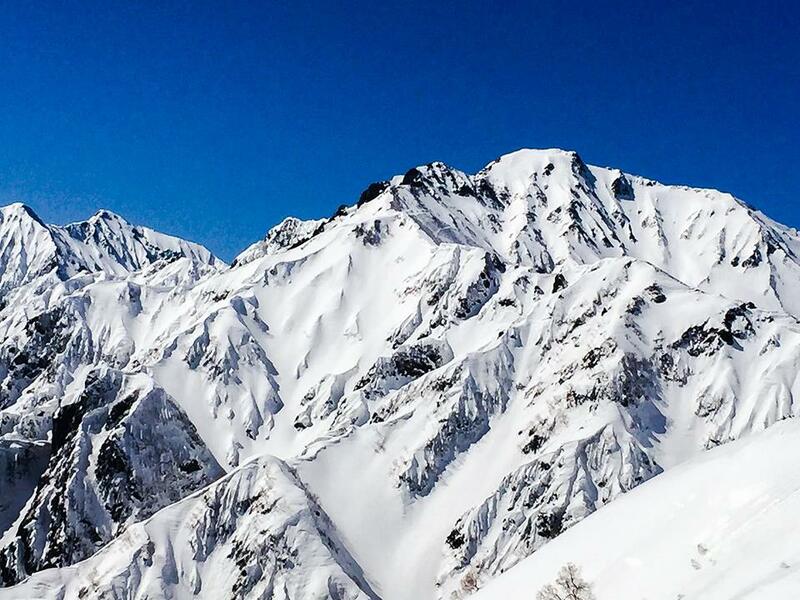 The breathtaking scenery of snow-capped Kita Alps is something you won’t experience anywhere else in Japan. If you are not into hiking, you can walk through the trails and enjoy the jaw-dropping views of the surrounding. The best way to go to the Kita Alps is from the city of Matsumoto. From Tokyo, you can catch a train to the Matsumoto Station. Once you arrive at station, you can take a bus or taxi to the Kamikochi. From Kamikochi, you can get to the mountains. Last but not the least on our list of top 5 off the beat destinations in Japan is, Akasoba no Sato. It is a breathtaking buckwheat flowers field which looks like a red carpet. This huge field is famous for the red flowers named Takane Ruby which are originated from Himalayas. In September every year, Akasoba no Sato is in full bloom making it a spectacular sight to witness with the backdrop of magnificent mountains of Nagano. If you are a nature lover, we recommend you to visit Akasoba no Sato when you are in Japan and explore the Takane Ruby flowers like no other in entire country. The best way to get to Nagano region is through express bus from Tokyo. If you don’t prefer traveling in public transport, you can also book a car and drive to Nagano where Akasoba no Sato is located. The car may take up to 4 to 5 hours to reach the destination but the drive is full of breathtaking views which will keep you entertained throughout the way.